As if your fall concert calendar wasn’t already full enough, get ready to add another date. 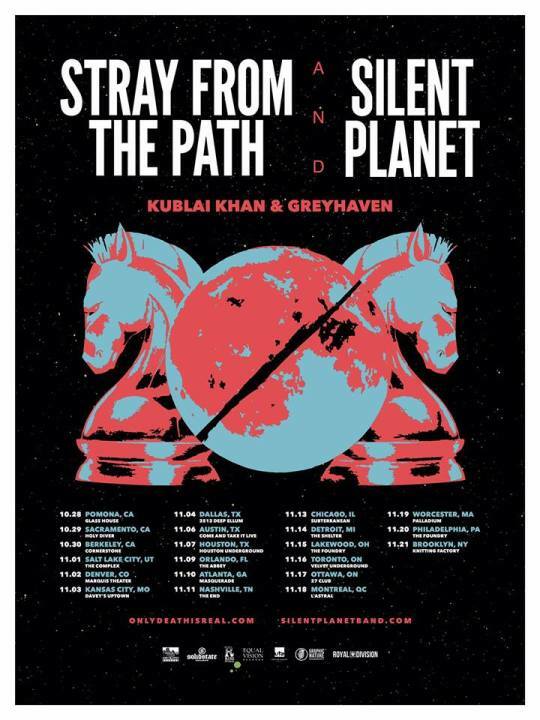 Just announced this morning, Stray From The Path and Silent Planet will be embarking on a North American co-headlining tour. That’s right! 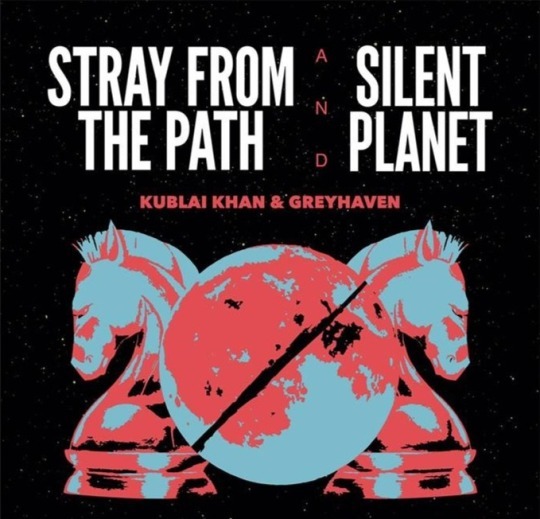 And if those two bands touring together wasn’t exciting enough, Stray From The Path and Silent Planet will both be joined by none other than fellow noisemakers Kublai Khan and Greyhaven thus making this 21-date US and Canada tour a definite can’t miss. To check out tour dates and locations, be sure to look below. 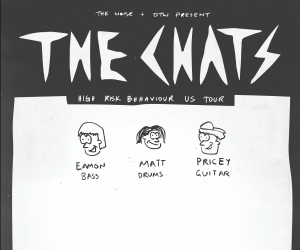 For tickets, which go on sale Friday, August 24th, head here.